Chiffon Tiered Evening Dress with Bolero | Sung Boutique L.A. 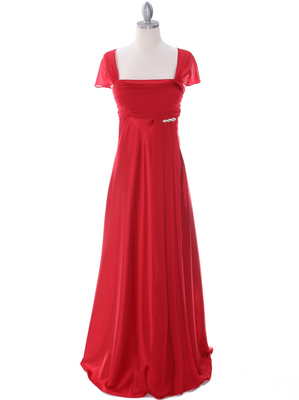 This fabulous chiffon evening dress features simple neckline and spaghetti straps. Satin band with sparkling brooch adorn the waist. Bolero jacket and tiered floor length skirt completes the look.